Lock in a great price for Hotel Il Castagno – rated 8.6 by recent guests! 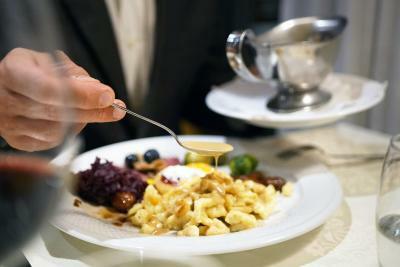 The staff was very friendly, the dinner was very good and there was a lot of variety at breakfast. We did not get a chance to recce the surroundings but our impression was that the hotel sits in the middle of an attractive walking and mountain biking environment. Also seems to be a good place for young families with kids. Everything was perfect! Clean room, very good staff! Dinner was great. They also asked us if we prefer a different time for the breakfast. Perfect location and quiet room! Very beautiful place and nature! Extremely Nice stuff! Was very clean! The garden and mountain setting was lovely. The children’s play equipment was really great and the room was clean and well equipped. Parking and WiFi both good. Our room was upgraded from double to superior, as we were with a child, which I found very very nice. The breakfast was ok, the room was clean and a nice restaurant. Hotel Il Castagno This rating is a reflection of how the property compares to the industry standard when it comes to price, facilities and services available. It's based on a self-evaluation by the property. Use this rating to help choose your stay! 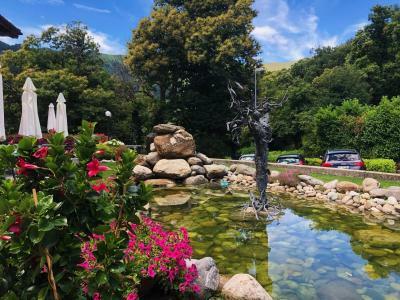 The Hotel Il Castagno is located between chestnut trees in Mugena the Alto Malcantone area, amid 9843 ft² of beautiful gardens. It offers free Wi-Fi and free parking and it is ideal for those who enjoy leisurely strolls through charming scenery. 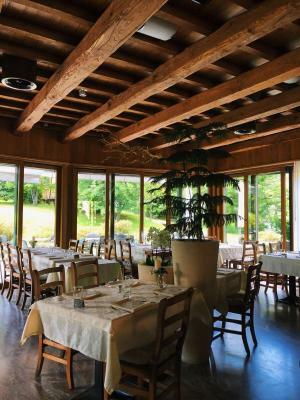 Local and seasonal specialties and wines from the Ticino canton and from Italy are served in the restaurant. The Percorso del Castagno hiking trail leads through the picturesque Alto Malcantone with its villages, churches, art and culture. 21 mi long cycling trail starts directly at the hotel. 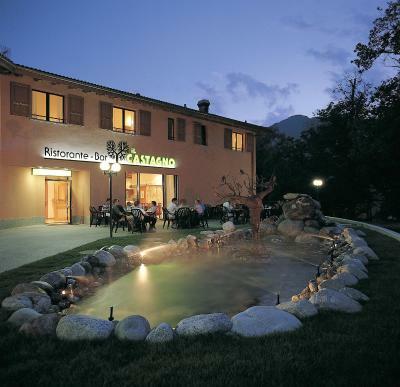 The Il Castagno hotel is located only 20 minutes from Lugano and 15 minutes' drive from the Lugano North exit on the highway Milan-Basel. This property also has one of the top-rated locations in Mugena! Guests are happier about it compared to other properties in the area. This property is also rated for the best value in Mugena! Guests are getting more for their money when compared to other properties in this city. When would you like to stay at Hotel Il Castagno? Room with a flat-screen TV, a mini-bar, and a bathroom. Free Wi-Fi is available. House Rules Hotel Il Castagno takes special requests – add in the next step! Hotel Il Castagno accepts these cards and reserves the right to temporarily hold an amount prior to arrival. Slightly disappointing experience in the restaurant; service was slow at dinner and the food wasn’t as special as I’d hoped. Not a great value stay overall. No aircon, no tea/coffee in room, fridge in room not very cold. Location, cleanliness, on site restaurant. The wi-fi didn't work at all. Furniture dated, not very comfy. Value for money, breakfast and restaurant. the only disadvantage we can state is the location - the hotel is on the hill and it was quite a challenge to achieve it. Bedroom a bit overheated, otherwise everything was perfect, simple, no fuss and very friendly.